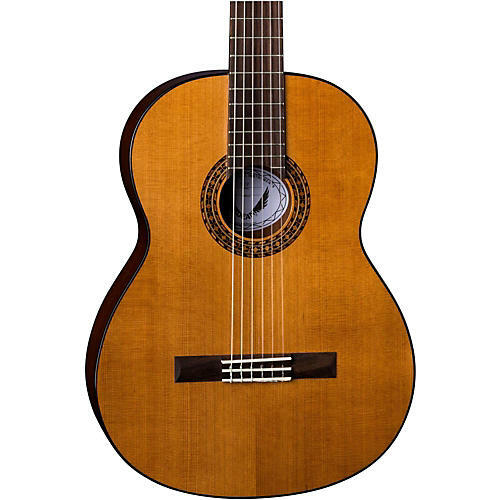 Featuring a mahogany body with a Canadian solid cedar top, this stunning classical Espana guitar is a joy to play! Comes standard with a rosewood fingerboard, 25.6" scale length and 2" bone nut. The single ply black binding against the gloss natural finish gives this instrument an added touch of class. A great guitar for a great price.